A great turnout this weekend for the 15th annual Luce School 5K and Fun Run in Canton. 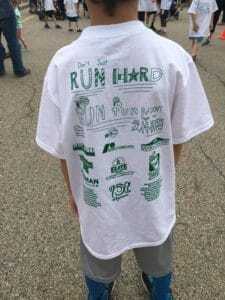 This family event offered a half mile run for ages 4-8, a mile run for ages 9-12, and a 5K for all who choose to participate. Absolute Landscaping is always proud to be one of the sponsors for this fun event.